We’re in the music business and technology is not our thing, we’ve been happily leaving that in the hands of Speedchilli since we were first introduced. ​Disturbing London are a music management company that have been on the creative scene in the worlds of music, publicity and nightlife for more than a decade. ​When Disturbing London had their first taste of success it would be fair to say it was huge. As the management company for music art like Tinie Tempah, who has delivered 7 number one singles, they are a busy bunch. With multiple websites that can receive bursts of traffic due to a single tweet sent out by one of their stars they need to be ready. Their websites were crashing often and email was becoming hard to manage. 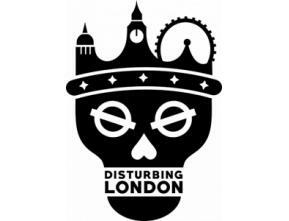 ​Disturbing London were running all their email from a single server and were receiving mailbox issues almost daily. Along with this they had their websites on single servers which led to service availability issues. Speedchilli migrated their email to Google G-Suite and introduced elasticity for their websites via a load balanced auto-scaling group. We also deployed Cloudflare to improve their security posture and enabled the CDN to improve delivery of content to visitors from around the world.